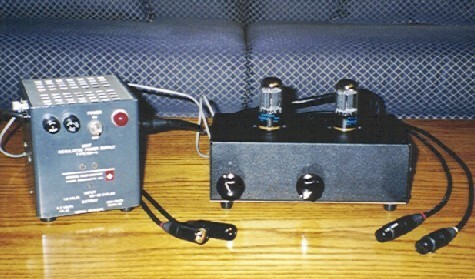 A transformer coupled balanced line-stage which accepts both balanced and unbalanced inputs. The topology is a 6SN7 long-tailed-pair driving a Lundahl 1660 push-pull interstage transformer. 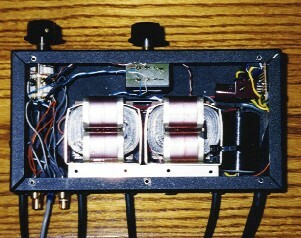 The power supply is an adapted surplus General Radio 1201-B. The XLR inputs and outputs are hardwired using Canare star quad cable. 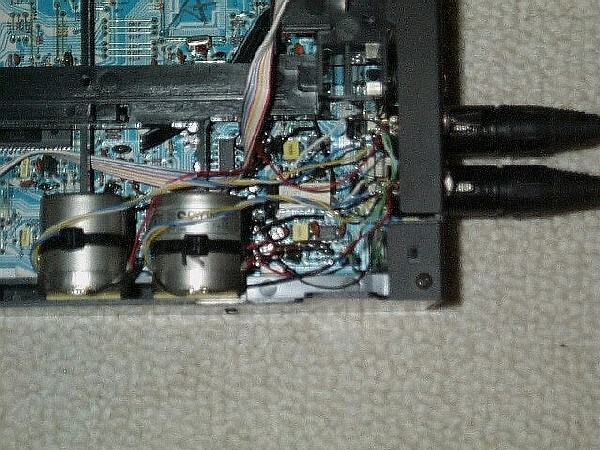 The XLR inputs are specifically provided to accept balanced signals from Sowter 8347 DAC transformers (having mu-metal cores) which are an elegant and highly effective way to eliminate all silicon from the analogue path in a CD player having something like Burr-Brown PCM 1702/4 DAC chips. Details of this modification are included in an inset on the schematic.